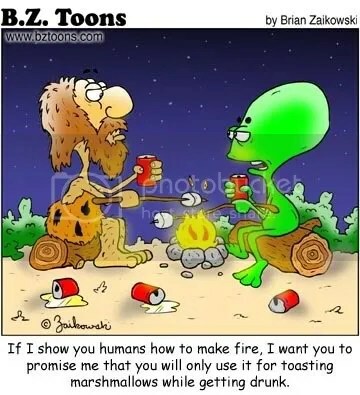 Welcome to UFO Update ( 42 )…..
As i have not done an update since may 4th (sorry for that), i will try to add as many links as possible, without making the post too long….although some links are now not working (boohoo) so i have decided to leave them out. “While in a private plane flying South East from Puerto Plata to Santo Domingo in the Dominican Republic I took these pictures from the co-pilot seat. The visibility was clear. We flew about 4500 ft. above the cloud deck. It was about 9:30 am, 4/22/08. (the time stamp setting was incorrect)” (extract from article). The Mac Observer (posted may 9th, 2008 ) “Free on i-tunes – Aussie UFOs, strange things, and hometown tales & more” . “I won’t say that I believe in the paranormal, but I will allow that there are things that exist today that are beyond our current level of understanding” (extract from article). There are links to podcasts within the article. The new Statesman has “Master of the universe” (posted 8th may, 2008 )… This talks about Robbie Williams and his interest with UFOs with Ronson….”After reading Ronson’s excellent 2001 book Them: Adventures With Extremists, Williams emailed Ronson asking him to find a haunted house where the two of them might spend a night. The plan fell through only when Williams remembered that he had 59 international stadium gigs pencilled on his roster, but he later invited Ronson to come with him to the International UFO Congress in Laughlin, Nevada, instead” (extract from article). 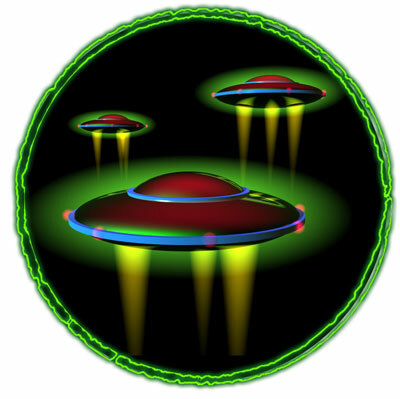 Abovetopsecret.com has an interesting thread entitled “Radio show online now – pop star robbie Williams discusses UFOs (and ATS)” (posted 6th may, 2008 ). Also “ATS gets a plug from from pop star Robbie Williams“. In fact, i would encourage all those, who have not been to Abovetopsecret.com , to do so…… as i have found it a good source for debate, information and discussion…. Meanwhile, at myfoxcolorado “hearing held on space alien initiative” (posted 8th may, 2008 ). “Be honest with yourself. Are you a UFO skeptic, a true believer, or an enthusiast? Listen to the video and take a look at youself where do you fit? (extract from article). “Accounts of bright moving lights in the sky and even alien abduction have been reported from the Dells area, and UFO reports can be found on a Web site and in a new book” (extract from article). The website of the sightings is here . ABC15.com has “Phoenix PD releases 911 tapes from mystery lights sighting” (posted 9th may 2008 ): it also has links to the audio. “The search for forms of extraterrestrial life, he says, does not contradict belief in God. The official Vatican newspaper headlines his article ‘Aliens Are My Brother’ “( extract from article). A similar article can be seen at the Heraldextra.com with a video; entitled “Herald poll: Are there intelligent beings on other planets” (posted 16th may 2008 ). Also at uk MSN it mentions “Vatican says aliens could exist” (posted 16th may 2008 )… this article is slightly different, unlike the title. The Walton Tribune “Vatican takes stance on aliens? ” (posted 18th may 2008 ) “UFO watchers, alien enthusiasts, “X-Files” fanboys and conspiracy theorists, rejoice, for you have found approval from an unlikely source: the Vatican” (extract from article). “Chinese and Tibetan climbers taking the Olympic torch to the top of Mount Everest saw mysterious lights as they scaled the world’s highest peak, Chinese state media reported” (extract from article). “May you live in Fortean Times” written by the telegraph on 10th may 2008, is all about Charles Fort (1874- 1932)…if you would like to know more, read the rest of the article; he was into all things paranormal. The latimes.com features “Welcome to Shirley by Kelly McMasters” (posted 17th may 2008 ). It is a book review, and the relevant part mentions “In another instance, McMasters seriously entertains a connection between the devastating 1996 crash of TWA Flight 800 off Long Island with a possible UFO sighting fours years earlier near the laboratory” (extract from article). “For those of you interested in unidentified flying objects (UFOs), MSNBC describes ten instances of sightings by Earthlings with possible extraterrestrial (ET) objects. These close encounters are described on videos at the MSNBC website. Are they believable, or just hoaxes?” (extract from article). “When a trio of red lights shaped like a triangle appeared a few years ago in Tinley Park skies, they stopped drivers in their tracks, strained the necks of neighbors at barbecues and drew workers outside to gawk at the clouds. One resident nicknamed the trio of lights the “Cleanup Crew.” Some people said the lights moved, others said they were still. They were spotted three times in 2004 and 2005” (extract from article). allAfrica.com “Namibia: UFO sightings at coast” (posted 21st may 2008 ); “A SHOOTING star? Ball of lightning? Visiting aliens from outer space? Whatever it was, a handful of residents from Usakos are convinced they saw an unidentified flying object (UFO) pass over their heads on Sunday night” (extract from article). Inquirer.net “Believing in ET’s is not in conflict with christianity” (posted 26th may 2008 ); i like what it says at the end “In the Philippines there are also numerous sightings of UFO’s in the sky but rarely do I hear of alien abduction of Filipinos. It seems the aliens visiting the west are different from those visiting the Philippines and other Asian countries. Here we do not experience cattle mutilations or aliens experimenting on humans. We are lucky in this sense” (extract from article). “VALLEY RANCH — Despite many eyewitnesses that can be regarded as credible, investigators from the Mutual UFO Network’s state chapter were unable to conclusively confirm that what people in the Stephenville area saw in January was a bona fide UFO” (extract from article). It then goes on to mention david Caron’s video, which MUFON believe’s was a misidentification, and is in fact a star. The article then goes on to mention what they did find important, and then it has a series on questions with answers towards the end of the article. If you see something that i have missed, please contact me (thanks). “There have been more sightings of strange lights in the skies over Torbay.This image, taken in the early hours of Saturday, captures the strange lights which have had Bay residents rubbing their eyes in disbelief. “Henry Smith and his friends were in Westbrook, Thanet, on Sunday when they saw the light at 8.45pm. “We stood in the garden for a while trying to come up with logical explanations of what it might have been,” he said” (extract from article). “Step forward Rainbow George Weiss, who is up to his usual numerical nonsense, betting £333 on a UFO appearing during the opening ceremony of the Beijing Olympics on August 8, or 8/8/8” (extract from article) . “More than 100 residents attended the week-long free event, organised by Halton Council and the Merseyside Anomalies Research Association, to see a range of creepy activities including UFO talks, ghost stories and even an experiment to discover whether plants can read minds” (extract from article)<-this was at Halton lea library. A little further down, it mentions that MARA plans on doing the same thing later on this year in Widnes. “FILM and television company Firefly is to feature a famous Todmorden UFO case in a new series it is making for Channel 5. The London based company is making a series that is factually based and simply tells the UFO sighting stories from as many peoples perspectives as possible, said assistant producer Kerry Western” (extract from article). Swindon Advertiser has “Flying saucer invasion over wiltshire skies“. The Largs and Millport weekly news takes up th same saltcoats UFO story in its article “Could West Kilbride be replaced as UFO hotspot?” with the same video as above in the article. Shortish article, which covers the same points as ArdrossanHerald. “WAS it a bird? Was it a plane? Or was it a ned with a fancy torch? Not according to two separate witnesses who insist they saw strange lights in the Kilmarnock skies at the weekend. On Saturday night at around 10.40pm in Kilmarnock town centre, a 32-year-old mum, who asked not to be named for fear of ridicule, noticed a bright light hovering in the trees behind her house” (extract from article). “So-called UFOs at Luton Hoo were Chinese lanterns, says airport. This website has got to the bottom of the baffling Luton Hoo UFO mystery that emerged last week. Guests at the plush five-star hotel spotted a strange cluster of orange lights in the sky in the early hours last Sunday” (extract from article). “AFTER last week’s reports of strange lights over the skies of Saltcoats, the Herald office has been inundated by readers who also spotted the bizarre lights on Sunday, April 27. So far there has been no logical explanation for the strange sighting but there have been suggestions of a meteor shower and Chinese lanterns” (extract from article). related too all other ArdrossanHerald posts above. 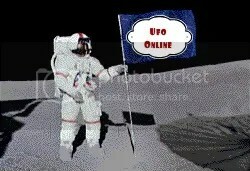 derryjournal.com “UFO spotted in Derry“. I hasten to add, that this is a hoax photo, i’m afraid. ***BBC newsnight “have the UFOs stopped coming“? “The men were air traffic controllers. Experienced, calm professionals. Nobody was drinking. But they were so worried about losing their jobs that they demanded their names be kept off the official report” (extract from article). “The Ministry of Defence files include descriptions of alleged Unidentified Aerial Phenomenon or “UFO” sightings and subsequent MoD evaluations of the reports. Among the reports are sightings in West Sussex” (extract from article). The MOD release 8 ufo files (each one a pdf file, consisting of many sightings); they are available for download from the National archives website, for the next month, for free. please see the national archives for the files you can download. There will be more files to follow and i will update ASAP, when they are available. For a deeper understanding of these files please see DI55 document by uk-ufo.org (especially on how MOD is structured). I now include national, international and local news articles on the MOD opening up its files….. it is interesting to see how they all respond to the news… some are predictable (and poor) others inaccurate, and uninterested, but a few are more insiteful. (those articles that were not written on the 14th but relate to this, will have *** in front for easy reference). the BBC has quite a few articles: how useful they are, i will leave for you to decide. “They include accounts of strange lights in the sky and unexplained objects being spotted by the public, armed forces and police officers” and “Much of the previously classified paperwork is made up of correspondence from the public sent to government officials, such as the MoD and then-prime minister Margaret Thatcher” (extracts from article). *** The today programme “UFO sightingsfiles released” … with media player (audio) 4 mins. 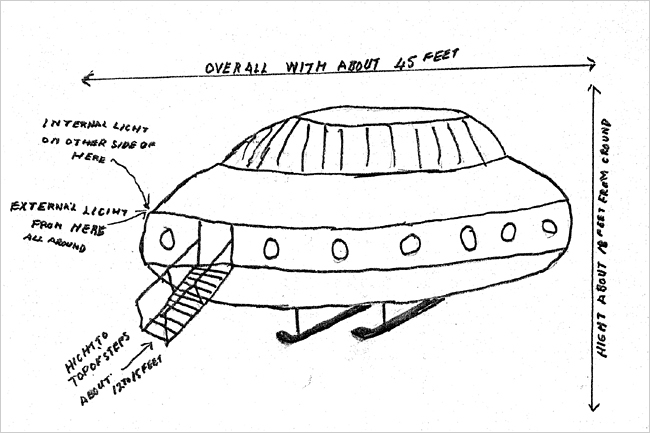 “For decades the Ministry of Defence kept what it knew about UFOs locked away in its archives. Now, the contents of what have been called Britain’s X-Files are finally being revealed. One of the UK’s leading UFO experts told Radio 4’s Today programme about his hunt. The first eight of 160 MoD UFO files have been opened at the National Archives, thanks to the Freedom of Information Act” (extract from article). “The most comprehensive Government files on UFO activity are opened to the public for the first time today and they disclose that even air traffic controllers and police officers have seen mysterious craft in the skies over Britain” (extract from article). “Yet the files do show that the MoD conducted a rigorous investigation of every alleged sighting of a UFO until well into the 1980s. In a briefing note in 1979 the MoD wrote: “Her Majesty’s Government has never been approached by people from outer space.” But the Defence Intelligence Staff was given the task of following up sightings, interviewing witnesses, collating information and filing reports” (extract from article). “Several sightings in the files are from police. At quarter past midnight on Christmas Day 1985, a group of 3 police officers in Woking were surprised by a white light descending on the Horsell area. The officers were apparently worried their report would not be taken seriously because Horsell Common features in HG Wells’ War of the Worlds as the place where the first Martians land” (extract from article). “The first in a series of UFO files, dating back to the 1970s, have been released on The National Archives’ website today, Wednesday 14 May 2008. The Ministry of Defence files include descriptions of alleged Unidentified Aerial Phenomenon or “UFO” sightings and subsequent MoD evaluations of the reports” (extract from article). “The files consist of a variety of documents, including numerous individual sightings, accounts of investigations and briefings prepared by MoD staff for ministers on the subject. “There are a lot of conspiracy theories that have grown up about the military interest in UFOs. What we are getting to see in these papers are the actual facts,” said Dr David Clarke, a lecturer in journalism at Sheffield Hallam University, in a podcast prepared for the National Archives on the release” (extract from article). Included is a podcast at the bottom of the article. What i liked, was this mentioned near the end “It will show that in April 1984 police in Edgware, north London, were called to investigate a light flashing “blue, white, green and pink”, followed by a “blinding white ball with a tail”. Women ran to their homes, screaming, with one declaring to officers: “I am not a nutter”” (extract from article). The sun “Brit ufo fever is flying sky high“… wins my reward for the most stupid ufo alleged photo!!! “”It’s a question of who you going to believe: your lying eyes or the government?” once remarked John Callahan, a former Federal Aviation Administration investigator, who said the CIA tried to hush-up the sighting of a huge illuminated ball four times the size of a jumbo jet in Alaska in 1987. You’ll forgive me if I have more faith in my 20/20 vision than I do in any elected representative” (extract from article). “But enthusiasts hoping for evidence that aliens were attempting to land in Britain will be disappointed” (extract from article). “They used to be stamped ‘Secret: For British Eyes Only’ – but on Wednesday files about the sighting of unidentified flying objects (UFOs) in the skies over Britain were made public for the first time” (extract from article). “Many of the MoD’s UFO files – including, probably, most of the good stuff – have already been revealed under Freedom of Information Act requests. In particular, the splendid conspiracy fodder surrounding the Rendlesham Forest incident of 1980 (“Britain’s Roswell”) has long been available, full of mysterious lights, strange marks left in the ground and traces of radiation. Even better, the cameras recording the British air-defence radar picture were switched off at the time, indicating an almost certain government conspiracy” (extract from article). *** this is dorset “Close encounters” a short article. Also a video link to regional (past UFO ) encounters? here . “The Sanderstead resident recalled peeping out of her bedroom window at 3am, in June 1983, and seeing a large rectangular-shaped object passing slowly. “There seemed to be no means of propulsion. The object was not being pushed, pulled, lifted or carried – its movement was silent,” she reported. She drew a picture of what she had seen and it appears in one of the eight files of reports released yesterday by the National Archives in Kew” (extract from article). “SECRET Government files released for the first time have delivered a damming verdict on the famous alleged UFO sighting at a Suffolk airbase – dubbed Britain’s Roswell….[. 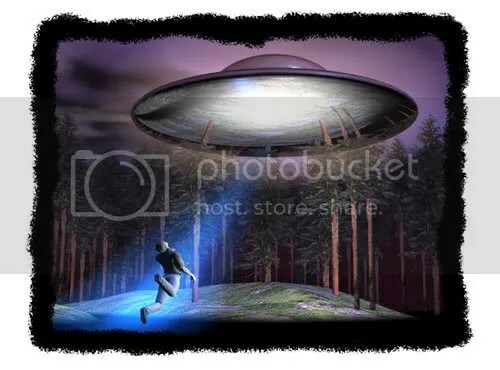 ]….Patrolmen based at the site from the United States Air Force (USAF) claimed they saw a small, triangular shaped craft moving backwards through the woods before taking off“. And later “But the new files indicate that because Lieutenant Colonel Halt only filed his report on January 13 – two weeks after the sightings – this prompted a lack of investigation by the British Government” (extracts from article). The debate on Rendlesham goes on…however, information on this event have been out for a while. “But, if you are willing to peruse the 450 pages of files, there are some genuinely compelling cases. Many reports come from pilots, air traffic controllers and the police. One report by police officers in Woking, Surrey, describes a white light descending to Earth. There testimony is marked: “Genuine report.” And there are plenty more where that came from. Although eight files have been released now, another 150 are on their way over the next few years, according to the MoD“. and…..
“Judging by the public interest in the release of the files, plenty of people will have a look at them. Even the fact that the MoD kept such records has interested many. The US stopped investigating UFO reports in 1969, after a study by the University of Colorado found that 90 per cent of sightings could be related to ordinary phenomena. But the MoD still seems curious about the other 10 per cent” (extracts from article)..
*** This is Hampshire “Hampshire UFO enthusiast welcomes X-files” Including video and map. Another said they had seen “a single orange light as bright as Venus moving at aircraft speed which hovered then flickered like a flame“” (extract from article). Also from thisishampshire “Mysterious object seen flying over southampton” with video. “The “Welsh Roswell” incident happened one dark winter’s night on January 23, 1974, in the Berwyn Mountains between Bala and Corwen. Families in the villages of Llandderfel and Llandrillo were settling down to watch TV, an explosion was heard and the ground shook. It measured 3.5 on the Richter scale” (extract from article). “The newly-released MoD file reveals they saw intense green light and a white tail. It states: “Numerous reports from police in the Northumbria area as follows: two police on foot, two police in car at Hexham, two police on foot, two in a car at Alnwick and at least six outdoors at Ashington” (extract from article). *** South Wales Argus “UFO spotted over waterloo bridge” including video. “MORE strange orange lights have been seen floating over Saltcoats on Sunday night and it is thought that they also appeared in Kilmarnock last weekend. The Herald has been inundated with phone calls about the orange lights spotted on Sunday, April 27 and now another Saltcoats man has told the Herald that he has seen them again on Sunday night” (extract from article). “Some say it’s about time the Ministry of Defense went public. The Ministry says it has nothing to hide. Its mission was only to determine whether enemy aircraft had invaded British airspace. They have no interest at all in extraterrestrial life” (extract from article). *** get Reading “Hot spot for UFOs – its official” (ok…we’re off again on the hot spot scenario; soon all will probably claim this right due to the MOD ufo files). “And Reading seems to be a hot spot for these peculiar sightings, with the town having several mentions in the files” (extract from article). Thisisgloucestershire “We can’t be the only form of life” “I Saw a strange sight over my house last Monday. our house is the flight path to Staverton and whilst watching TV about 9.45pm I saw an orange ball, which seemed to be on the flight path, moving steadily across the sky but when stepping outside to inspect it closer it wasn’t making any noise” (extract from article). daily mirror “It may seem alien way to make money but..” Ladbrookes has cut the odds of alien life (1000-1), and so have others… Hill only gives 100-1.. now thats bad. “Although he doesn’t believe in little green men, Mr McFadden, who is also a rocket scientist, is adamant that UFO’s do exist but may be entirely man-made.“It’s not unusual to see UFOs, there are certainly plenty of things up there that cannot easily be identified by the average person, or even by scientists or commercial pilots, and I am both” (extract from article). “UFOs have been spotted circling the skies above Walton, Addlestone and Cobham, according to the Ministry of Defence (MoD)” (extract from article). “The Wiltshire Times has trawled through hundreds of UFO reports from 1978 to 1987, released on the National Archives website on Wednesday. Following Freedom of Information requests, eight files of UFO sightings have been released by the MoD so far” (extract from article). “Although the files released yesterday concern sightings on mainland UK, local UFO enthusiasts claim Northern Ireland and the Republic have also had their fair share“. “The papers show nine sightings were logged across the county, from Blewbury to Banbury, during the nine-year period. 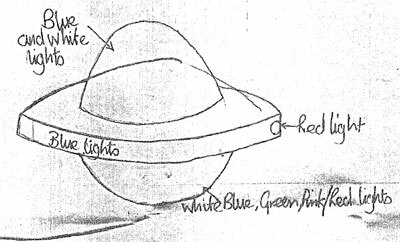 “A mysterious, shining saucer-shaped object spotted over Ashwellthorpe, a fast-moving pink light seen from a city playground and a “fat coffin-shaped” craft spotted by Norwich air traffic controllers.These are just a few of the unexplained UFO sightings reported in the county and revealed in newly declassified Ministry of Defence documents” (extract from article). “Aliens from outer space have been visiting Britain for years and UFO sightings doubled after the film Close Encounters was released in 1977, according to secret files collating reports by members of the public” (extract from article). *** npr “Ufos in the UK” an audio (3 mins). 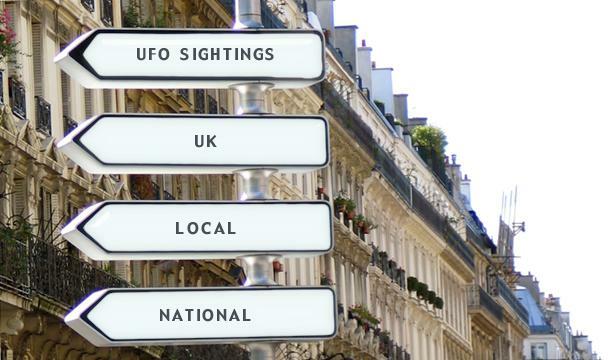 “DC Gary Heseltine, who collated the unofficial database PRUFOS (Police Reporting UFOs), has been inundated with sightings the length and breadth of the country” (extract from article). “The night-time “urban glow” that hangs over much of southern England appears not to have cast a cloud over UFO-watching activities. For people in the south east claimed to have seen more unidentified flying objects per head per population than anywhere else in Britain, according to a survey by insurance company esure” (extract from article). Of course, it does not say how the survey was done. “Details have emerged for the first time since the sighting in 2000 in previously secret X-files released by the Ministry of Defence. The sighting was made by several officers at the former Whitechapel police station in Leman-street, 10 minutes from the Tower of London, who reported flashing white lights at 3.45am while on night shift in March, 2000” (extract from article). Southern Daily Echo “Region tops UFO league” again they do not mention how this was done. this is Hampshire uses the same article here . 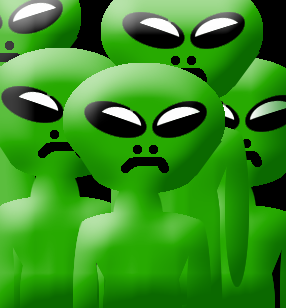 “Sky lanterns released for a wedding reception have been blamed for causing a massive UFO scare across Exeter. Bright lights slowly passing overhead without a sound in the cloudy night sky prompted a welter of alarming calls to the Echo – and police in Exeter” (extract from article ). “He said: “Me and my neighbour Andre keep seeing very strange, extremely bright, flashing lights in the fields round the back of the pub. I’ve seen them at the last thing at night and he sees them first thing in the morning, it’s normally two or three and they move at great speed. Andre Guinebault added: “Just this week, there was what I can only explain as a huge explosion in the field. “It was almost as if someone had dropped a luminous green bomb in the field. 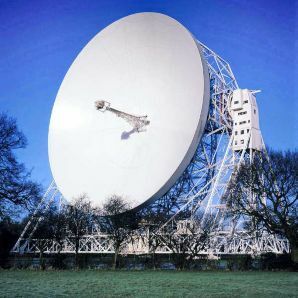 It was massive and there were very bright lights in the background, moving at abnormal speeds“” (extract from article ). Another recent sighting is also mentioned. *** County times “UFO sightings over Wales are revealed” short’ish article. “On one particularly spooky night in May, 1985, RAF Chivenor received an unusual number of reports of apparent UFO sightings. Between 11pm and midnight on Tuesday, May 28 mysterious lights were witnessed across the clear Devonshire skies. The most detailed report spoke of an object the size of a Sea King helicopter and a set of lights in what appeared to be a race track pattern” (extract from article). *** De VOID “We Report, you decide” “In fact, the site features a reassuring podcast from Dr. David Clarke, the Sheffield Hallam University j-school prof who got this ball rolling several years ago with Freedom of Information requests” (extract from article ). “The first batch of files to be released includes a report by two Kingussie policemen who spotted a massive “platinum-white” sphere in the sky during a routine patrol on the A889 between Dalwhinnie and Laggan on Hogmanay, 1984. Constables Donald MacLeod and Alasdair MacDonald were amazed to see the giant orb in the sky to the north of them” (Extract from article ). *** Wanstead and woodfood Guardian “Waltham Forest: secret files reveal PC saw alien craft” Also in this is london here . “A startled policeman saw an object with six to 12 large white orbs and red and green lights on either side as he was driving through Epping Forest in October 1984. It made no sound and was moving very slowly towards Chingford, he said. “One evocative report deals with a sighting in Stanmore on April 26, 1984, of a circular dome with flashing lights, apparently hovering over either Borehamwood or Mill Hill. “The most outlandish claims come from a man who wrote to the MoD in 1985 saying he had been in regular contact with an extra terrestrial named Algar since 1958 and visited alien bases in Cheshire and the Wirral. In a three-page letter, the man described seeing an alien that was “green and very large, that had eyes all over it,” and another with “fat worms sticking out of her head”” (extract from article ). “But more mysterious is the sighting of a long, silver cylindrical object with no visible signs of wings seen glowing white over Cranbrook in January 1984. Or what about the three separate sightings of four lights in the sky between Linton and Staplehurst in September 1984 that split into two pairs and moved off in opposite directions at great speed, turning red as they did so ? And who could argue with the description of what appeared to be a genuine flying saucer near Maidstone, in February 1982, when a driver and passenger spotted “at least 12 pink/white lights, the size of four helicopters and disc-shaped”” (extract from article). “Some U.F.O. enthusiasts said last week that they believed the British government had not released all of its files and was concealing the truth about a massive cover-up it had long perpetrated on the British people. But Joe McGonagle, a self-described U.F.O. researcher here, said the documents showed that far from concealing anything, the government had failed to investigate the sightings properly in the first place” (extract from article ). “Hot on the heels of the Flying Dorito and Inverted Meat Dish, spaceship spotters have been contacting the Express & Star in their droves to share their strange stories of the skies” (extract from article). “Gavin Stevens, of Malinslee, said it was his second UFO sighting since last autumn. “I was sitting in my house when I glanced out of the window and saw something hovering overhead,” he said. “It floated away from us slowly rotating so we went to get the binoculars to see it and we could tell it was green in colour, pear-shaped, and had something below it. “Within the space of a few seconds it shot off very fast away from us” ” (extract from article ). As is mentioned in my post here , the first batch of UK UFO files can be downloaded from the National Archives “Newly released UFO files from the UK government“(posted 14th may,2008 ) . Please make sure you download these as soon as possible, as they are free to download for now, but this will not be the case after some time. An excellent article/post from uk-ufo.org can be seen here (well worth a look). David clarke has “British X-filesopen at National archives” (well worth a look). I’m sorry this is a brief account of what is important news from the MOD…. i am still short on time, but hope to resume blogging as soon as i can…. so sorry in advance. I will, when i get back to a normal service, go in depth about this, and analyse and so on. 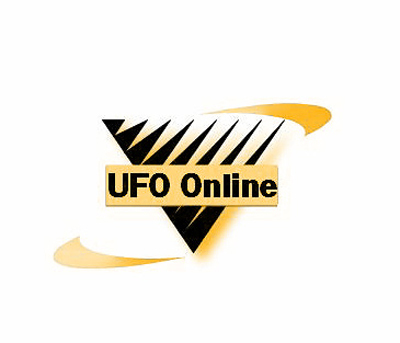 Also all sources/articles will be placed on my UK ufo sightings posting for may…. i’m afraid i have not done so yet. I felt it was better to have a quick page, to alert anyone who does not know that this is available. Sorry for gap in the post, i cannot seem to correct the problem…..
Not much activity… but not dead! I would just like to apologise for not much activity (posts on my blog) within the last week…. i have other matters to attend too, i’m afraid, and this blog has to take a back seat…..
Normal service will be resumed within the next week or so…. so please do bookmark this blog, join the Rss feed, comment on past posts, or e-mail me your comments. Thank you. I will catch up on all UFO events……. in a bigger than normal UFO Updates when i return, also the last in the series of the Stephenville UFO sightings (4 of 4) with recent news, and conclusion. 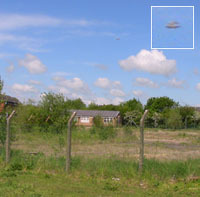 I will also conclude on the April 2008 UK UFO sightings blog post….. and catch up on the May UK UFO sightings blog (although i hope to keep this updated at least, if nothing else). This video is excellent, funny and well made… i came across it whilst browsing ‘the net’ and thought it warranted an entry here. We start with the associated Press “Arrest in Md. town may settle puzzle noise, lights” (posted 1st may, 2008 ). “PIKESVILLE, Md. (AP) — It wasn’t a UFO or spectral manifestation. A middle-of-the-night mystery that rattled and baffled residents for months may finally have been solved with police making a real-world arrest” (extract from article). Also from WJZ.com with article and video here (posted 30th april, 2008 ), and TheCabin.net here . mcdowellnews.com has “Mike Conley’s tale of the wierd: Lawman has a close encounter” (posted 1st May, 2008 ). “In the dark early hours of Aug. 27, 1979, Deputy Sheriff Val Johnson was driving his patrol car on a rural highway in Marshall County, Minn. not far from the North Dakota border. At 1:40 a.m., Johnson spotted a bright light along a group of trees some distance from his car” (extract from article). De Void has “Red meat for the campaign trail” (posted may 1st, 2008 ). “If a 5,000 e-mail blast can’t crack this nut, then nothing will. At least, that’s the tune Washington lobbyist Stephen Bassett is singing now. Yesterday, the one-man band with the Extraterrestrial Phenomena Political Action Committee, or X-PPAC, blanketed media and political outlets with copies of an appeal to Sen. Hilary Clinton to come clean about her meetings with UFO disclosure advocate Laurance Rockefeller” (extract from article). 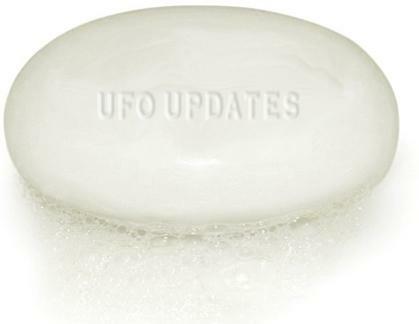 reporterherald.com has “UFO sighting or just a prank?” (posted 1st may, 2008 ). “Aldrich was getting her mail at her south Loveland home about 8:45 Sunday night when she glanced into the night sky and saw something strange: two red lights floating side-by-side. Bright as halogen lights, the orbs were diamond-shaped, although she couldn’t see any shape beyond the vibrant light. Watching the objects intently, Aldrich saw the two orbs begin to glide in unison, staying perfectly spaced” (extract from article). Greeleytrib.com has a similar report in Loveland, but for monday and tuesday nights “Strange lights reported in the sky” (posted 1st may, 2008 ). “Clift said Wednesday he was notified of four lights in a boomerang formation in sky over Loveland Monday night; at abut 8 p.m. Tuesday, a caller who did not leave a name or address reported strange lights in the area of Weld County Road 17 and U.S. 34 . The light reportedly appeared out of no where, then disappeared rapidly, Clift said” (extract from article). seti.com has “10 must see First contact movies” (posted may 1st, 2008 ). ufo-blog.com has “Heavyweight digital image expert weighs in on drones, calling hoax (again)“** recommended reading (posted 3rd may, 2008 ). How much more evidence is needed….. this signals the end as far as i’m concerned…. although, i am still following discussions, as to who it was who created these? and other related questions? io9.com has “Unidentified flying human freaks the hell out mexico” (posted recently); also with 2 videos. “Mexico’s latest UFO, filmed hovering over the mountains of Nuevo Leon City, Mexico, looks like an airborne woman. The video shows a floating figure gliding horizontally across the tops of the mountains” (extract from article). The sun also covers this in “Is ufo a flying human” with video (posted 2nd may, 2008 ); do i need to comment? the video itself is very blurry, among other things. “Television paranormal guru Yvette Fielding is launching her own channel, she has revealed. The former Blue Peter presenter – who has spent recent years hunting ghosts for Living TV’s Most Haunted – said the channel would begin broadcasting on Sky on June 9. The Paranormal Channel is operated by Monster Pictures Limited, a company owned by Fielding and Karl Beattie, her cameraman husband” (extract from article). phoenix.bizjournals.com “Phoenix lights spark variety of local UFO businesses” (posted 2nd may, 2008 ). “The lights spotted in the night sky over Phoenix last month stoked the fires within UFO believers and further fueled speculation over the mysterious “Phoenix lights” phenomenon of 1997, a formation that some — including former Arizona Gov. Fife Symington — believe to have been UFOs” (extract from article). Lastly, The sun has “Rob’s fascinated by paranormal” (posted 3rd may, 2008 ). “The pop star has developed an obsession with aliens. He is so fascinated that he recently jetted to a UFO convention in Nevada to pursue his hobby” (extract from article). It seems that the sun cannot leave Robbie William’s or the subject of UFOs alone… how sad! With their immature jibes, and inaccurate information, they never surprise me anymore. I will start off with some links/articles to the drone discussions, and then follow this with some videos. This is just a quick links post….. (i was going to post this a while back, but it stayed in the unpublished posts category, ooops). Open forum Page 9 for stephen’s drones location…. Also at The Paracast on the location…..this was made in 2007, and LMH was e-mailed on the subject, but chose to ignore it? Printable version (very long…all posts on drones) on Unexplained-Mysteries forum alot of important issues raised… normal version of site here . This also reminds me that, i should get round to starting my own entries on footnote….. the site can be searched for all sorts of information…. it is definately worth a look, if you have some time. Ufo documents (original) can be found here ; try varients on this word too; some of the contents are premium (ie you have to pay for them, but quite alot are free to view). 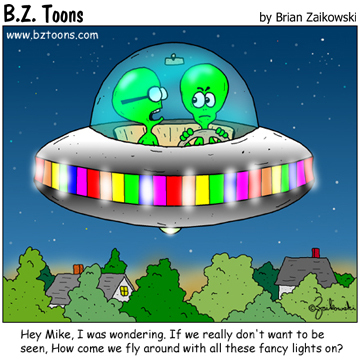 For instance ufo, returned 137,680 returns….. most you can view. Its nice to get a chance to view the documents at its source.